Clunes: Gaelic for “a pleasant place” is true to its name. Victoria's first Gold town with its historic buildings and wide streets and having Wesley college campus makes it ideal for a music festival. Simon Oswell (viola) trained in Australia and the United States. He gained awards in the National Concerto competition and co-founded the Petra String Quartet. Simon has performed and recorded as a soloist and chamber musician in Australia, Europe and South East Asia and subsequently in the United States in the LA based chamber music groups, the Capitol Ensemble and Pacific Serenades. In California he occupied several Principal Viola positions including the Hollywood Bowl, and recorded for the motion picture industry. Since returning to Australia Simon has appeared as Guest Principal with the Australian Chamber Orchestra, Melbourne, Adelaide, Tasmanian and Queensland Symphony Orchestras, as well as the Australian World Orchestra, Ensemble Liaison, Firebird Trio, Wilma and Friends, and the Australian Festival of Chamber Music. Recent highlights have included performances in the UK at the Oxford May Chamber Music Festival and the North York Moors Festival. He currently teaches at the University of Melbourne. Rachael Beesley is an internationally renowned Australian violinist, director, concertmaster and educator specialising in the field of historically informed performance. As guest concertmaster with Europe’s most distinguished HIP ensembles and orchestras including Anima Eterna Brugge, La Petite Bande and the New Dutch Academy, and as guest director of Les Muffatti in Brussels and NZBarok in Auckland, Rachael has performed in festivals and concert halls worldwide. 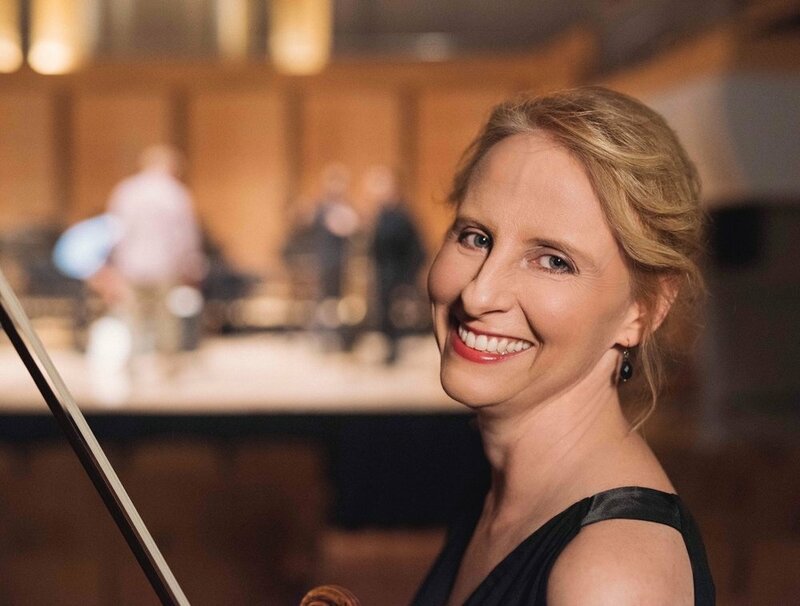 In Australia, Rachael is co-artistic director and concertmaster of the Australian Romantic & Classical Orchestra, which she co-founded in 2013, and has performed as guest concertmaster with the Australian Brandenburg Orchestra, Pinchgut Opera, Opera Australia and Victorian Opera. Rachael is regularly invited to guest direct modern orchestras from the violin, including the Tasmanian Symphony Orchestra, Melbourne Chamber Orchestra and Adelaide Chamber Players. Rachael features on over 50 album recordings and broadcasts for radio and television and is much in demand as a chamber musician and soloist, regularly collaborating with contemporary Australian composers as well as exploring repertoire from the 17th to the 20th centuries on period instruments. As a highly regarded educator and mentor, Rachael teaches and lectures at the Melbourne and Sydney Conservatoriums of Music, the Royal Conservatoire in Den Haag, The Netherlands, and at the Sir Zelman Cowen School of Music, Monash University. Rachael has been awarded an Ian Potter Cultural Trust grant and is listed in the Who’s Who of Australian Women. Ukrainian-Australian violinist Markiyan Melnychenko is currently Lecturer of Violin at the Melbourne Conservatorium of Music, and is in demand as a soloist, chamber musician and pedagogue. Described as “an artist of patrician sensibility, spectacular technique”, and “possessing an extraordinary combination of bravura, brains and elegance”, he has performed in 17 countries including solo performances in New York (Alice Tully Hall), Washington DC (Kennedy Centre), Rochester, Syracuse, Buffalo, Melbourne, Sydney, Canberra, Queenstown and has been broadcast on ABC Classic FM, 3MBS FM and Radio NZ. He has made a number of solo appearances with orchestras including performances with the Lviv Philharmonic Orchestra, Kobe City Chamber Orchestra, Collegium Musicum, Melbourne Chamber Orchestra and Orchestra Victoria. Markiyan obtained his Bachelor and Masters of Music at the Eastman School of Music under the tutelage of Professor of Violin – Oleh Krysa. He was additionally awarded Eastman's Performer's certificate and the highly prestigious Artist Certificate, being the first violinist to receive this award in over 50 years. Additional studies have been at the Australian National Academy of Music with Alice Waten and William Hennessy, and also with Cyrus Forough. In 2014 he won 1st prize in the Melbourne Recital Centre's National “Great Romantics” competition. In the same year he was also awarded the 'Australian Development Prize' from the Michael Hill International Violin Competition. In 2013 he was shared 1st prize winner of the Oleh Krysa International Violin Competition in Ukraine. He has participated in the Queen Elizabeth (Belgium), Pablo de Sarasate (Spain), Lysenko (Ukraine), Leopold Mozart (Germany), George Enescu (Romania), Seoul (Korea) and Sendai (Japan) International Violin Competitions. In 2013 he was selected to perform in a quartet at the US Capitol for the Inaugural Luncheon at Barack Obama's Presidential Inauguration. Markiyan is also Principal 1st Violin with the Melbourne Chamber Orchestra, and has been a casual member of the Rochester Philharmonic Orchestra, Melbourne Symphony Orchestra and Orchestra Victoria. Merewyn began playing both violin and viola when she was little and was taught by her mother. In 2005 she completed a Bachelor of Music with Honours in Performance under the tutelage of William Hennessy and in 2007, a Master of Music Performance mentored by Caroline Henbest. During her course at the University of Melbourne she was awarded the Peg Oldfield Prize and the H.A. Owen Award for performance excellence. Merewyn is Principal Viola of the Melbourne Chamber Orchestra and holds casual positions with the Melbourne Symphony Orchestra, Orchestra Victoria and the Tasmanian Symphony Orchestra and has appeared as guest Principal Viola of the Adelaide Symphony Orchestra. To quench her constant thirst for chamber music, Merewyn plays in the Australian Octet within its own series and in festivals far and wide. Merewyn is a current member of Quartz, a quartet with a big Victorian presence and which performs as part of a series at the Melbourne Recital Centre. Violist with the Patronus Quartet, Merewyn competed in the 2015 Melbourne International Chamber Music Competition and as a former member of the Tailem Quartet she was a finalist in the 3rd Australian Chamber Music Competition and performed in the 2008 ARD Chamber Music Competition in Munich. The Tailem quartet also completed residencies at the Banff Centre, Canada, and at Yale University’s Norfolk Summer Chamber Music Festival. 2007 introduced Merewyn to the Australian Chamber Orchestra when she was accepted as an Emerging Artist. As an educator, Merewyn strives to share the light with young musicians through orchestral programs and universities. On a national level she has tutored viola sections of the Australian Youth Orchestra. Away from the music stand, nothing beats writing for children, running long distances and the fever of tap dancing. Josephine is an Australian cellist, chamber musician and educator. A multi-faceted career has taken her to concert stages throughout Europe, North America, Asia, the Caribbean and Australia and includes performances with a number of award-winning chamber ensembles and orchestras. She has performed regularly for the Melbourne, Sydney, Castlemaine, Port Fairy and Ballarat Goldfields Festivals and Musica Viva. Currently performing Australia-wide with Firebird Trio, she was a founding member of Trio 3.0.3, Freshwater Trio and the Pacific Clarinet Trio. Since returning to Australia after 5 years in Europe, Josephine has explored many facets of musical endeavour, including a love of baroque cello with Accademia Arcadia and the Bach Cello Series and Argentine tango music. Described as “an expressive soloist and fabulous communicator” The Age, ’’Josephine’s debut CD Song of the Birds was released in 2014. In 2017 Tall Poppies released ‘Il Diavolo’ on which she performs baroque cello for Accademia Arcadia to acclaim. She features on regular radio broadcasts including for ABC FM, 3MBS, DRS1 (Switzerland), NDR (Germany) and CBC (Canada). Josephine's love of music permeates her teaching, and she is currently on the staff at the Victorian College of the Arts Secondary School, the Melbourne Conservatorium of Music at the University of Melbourne and Monash University. Her students are active in the scene both in Australia and overseas, with many pursuing further tertiary studies at universities in the UK, USA and Europe. Her busy musical life also extends to adjudicating, examining, blogging, curating concerts and radio programs. She performs on a lovely old Thomas Kennedy Cello, London 1850 and a John Devereux Cello, Fitzroy 1864. Pianist Rhodri Clarke graduated with first class honours from the Royal College Of Music, London in 2004. He has lived in the Netherlands where he performed with members of the Royal Concertgebouw Orchestra and has toured extensively with tenor, Rolando Villazon’s Bolivar Soloists appearing with the group at the Berlin Philharmonie, London’s Royal Festival Hall and the Theatre des Champs-Elysees in Paris and also in Mexico, programs recorded for the Deutsche Grammaphon label. He has also toured to Venezuela, with double bass player, Edicson Ruiz of the Berlin Philharmonic Orchestra and accompanied Bryn Terfel at Carnegie Hall in New York. Other engagements as an accompanist have seen him perform at many prestigious European concert venues including London’s Wigmore Hall and also at the Lucerne International Music Festival. As duo-pianist, with internationally renowned, David Helfgott, Rhodri has given performances of the two-piano version of the Rachmaninov Piano Concerto No.3 at the Sydney Opera House and the Melbourne Recital Centre and, during 2017, at the Musikverein, Vienna at the KKL Hall in Lucerne, Bridgewater Hall in Manchester and The Barbican Hall, London. Rhodri was invited back in October 2018 to the Musikverein to reprise the previous year’s performance, completing the tour with further duo performances at Paris’ La Seine Musicale and the Tonhalle Maag Concert Hall in Zurich. Now based in Melbourne, as a piano teacher and chamber music coach, Rhodri has worked at Scotch College and Methodist Ladies College and was an Associate Artist at the Australian National Academy of Music for five years. Rhodri is employed as a regular collaborative pianist at Melbourne University and Monash University as well as maintaining a busy teaching and accompaniment studio.